The U.S. president’s tariffs on steel and aluminum have precedents – Reagan and Bush No. 2 took similar actions. Critics worry that the globalization project of 1991-2016 is falling apart. Yet there could be benefits for the world economy and U.S. living standards. 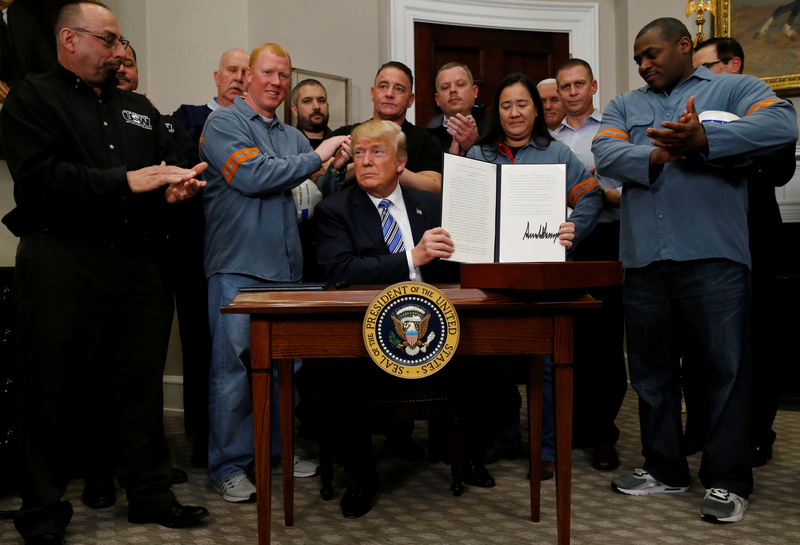 U.S. President Donald Trump poses as he signs a presidential proclamation placing tariffs on steel and aluminum imports while surrounded by workers from the steel and aluminum industries at the White House in Washington, U.S. March 8, 2018.